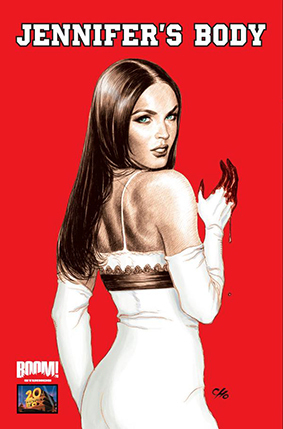 starring Megan Fox as a demonically-possessed cheerleader with a taste for killing teenage boys! In this original graphic novel that ties into the movie and expands on its universe, Black Metal's Rick Spears brings you even more hellish Jennifer stories with art by Hack/Slash's Tim Seeley, Kick Drum Comix' Jim Mahfood, DMZ's Nikki Cook, and Popgun's Ming Doyle. Written by Rick Spears. Art by Tim Seeley, Jim Mahfood, Nikki Cook, and Ming Doyle. Cover art by Frank Cho. Hardcover, 112 pages, full color.